Ajanta-Ellora caves are one of the most well-known places in India. Many tourists visit this place from all over the world. The caves show ancient Indian art, presenting various rock-cut sculptures and different types of paintings. The art in these caves is inspired by the Buddhist Civilization. The human emotions can be easily seen through the carvings and paintings in these caves. 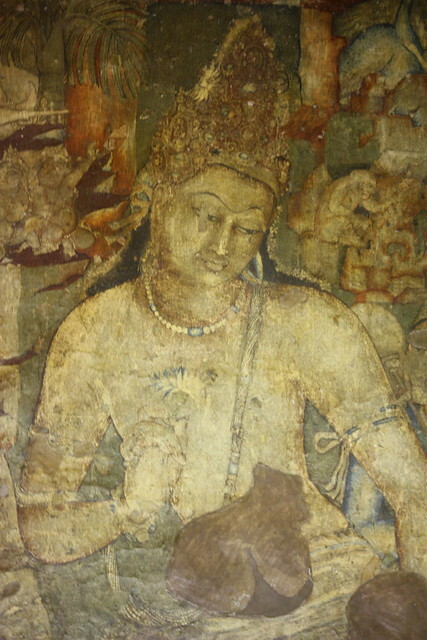 Ajanta-Ellora caves is one of the rare caves in the world with beautiful art imbibed in them. UNESCO has included this caves in the list of World Heritage Sites. Ajanta Ellora is visited by many tourists every year from all over the world. However, one must know that the entry in Ajanta Ellora caves is not free, one needs to pay a few bucks before entering. The entry fees are different for different people. Generally, the entry fees for adult Indian tourists is Rs.10 per person and for the adult foreign tourists is Rs.250 per person. Also, the charges for taking a camera inside is Rs.25 per camera. There are no charges for children below 15 years of age. It is very necessary for the tourists to know the opening hours of the Ajanta Ellora caves. If the opening hours of the Ajanta Ellora caves are known properly, it becomes very easy for the tourist to manage their tour. Also, this will ensure that the tourist does not land in any problem. The tourists should always do a proper inquiry regarding the budget hotels in Ajanta Ellora caves area before visiting. There are many hotels which are relatively costly here, also there are many options for low cost hotels. So, knowing the budget hotels with the facility provided will definitely help in saving a few bucks from the tourists. Ajanta Ellora caves being a populat tourist destination, many people visit this place by road in their private vehicles. The visitors familiar with the route to Ajanta may not face any difficulties. However, if a person is not aware of the roads then they may face problems. There are many routes to reach Ajanta caves, however, knowing the exact route to Ajanta will only make the tour hassle free and comfortable. The caves in Ajanta have many dark areas. One many find it difficult in walking through this caves, so carrying a torch is necessary here. That will also ensure that the travel to these caves is safe and trouble-free. While travelling in the hill stations and forested areas it is necessary to carry a wooden stick along. The wooden stick will help an individual to walk properly in the hilly areas, to clear branches of plants and also to protect from animals like monkeys, bullocks, etc. Wooden sticks are very necessary while travelling to this place. After entering the premises of the Ajanta caves, the caves are still quite a long distance away. So various shuttle buses are available to go at the exact Ajanta caves spot. However, some people also walk to the spot. These shuttles are very affordable. Most of the tourists travel through these shuttle buses, while some youngsters chooses to walk to enjoy the tour. All the travel agents are not good. Many of the touts and hawkers charge heavily from the new tourists. It will be better if tourists take all the necessary precautions and do not take help from touts and hawkers. The hawkers charge will definitely be a spoiler from the tourist’s point of view. Many people go by road to the Ajanta caves. However, tourists should be aware that the roads are more congested on holidays. The roads here are comparatively narrow, so an expert driver is necessary to drive through these roads. Heavy traffic is quite common.